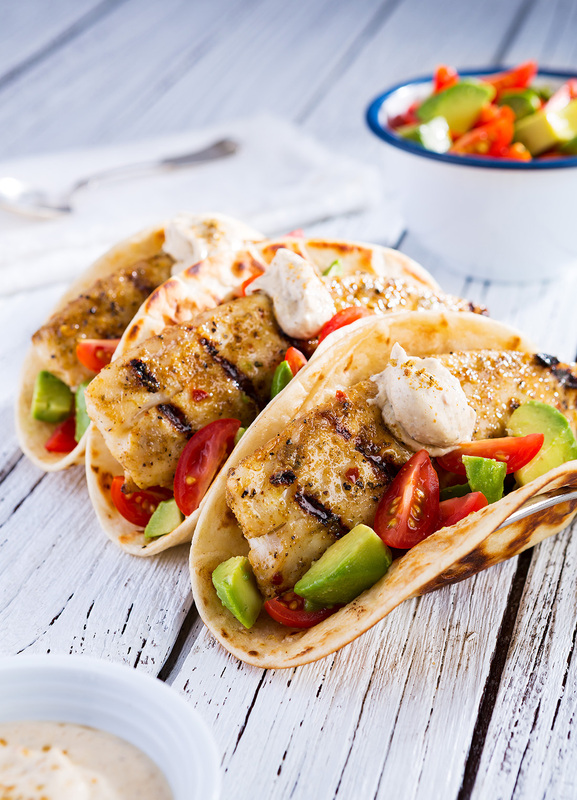 Preheat a gas or charcoal grill on medium-low heat (300°F) for 15 minutes. In a large bowl, toss onion, okra, tomatoes, 1 1/2 tablespoons Fire Roastin’ Cajun Seasoning and Worcestershire. 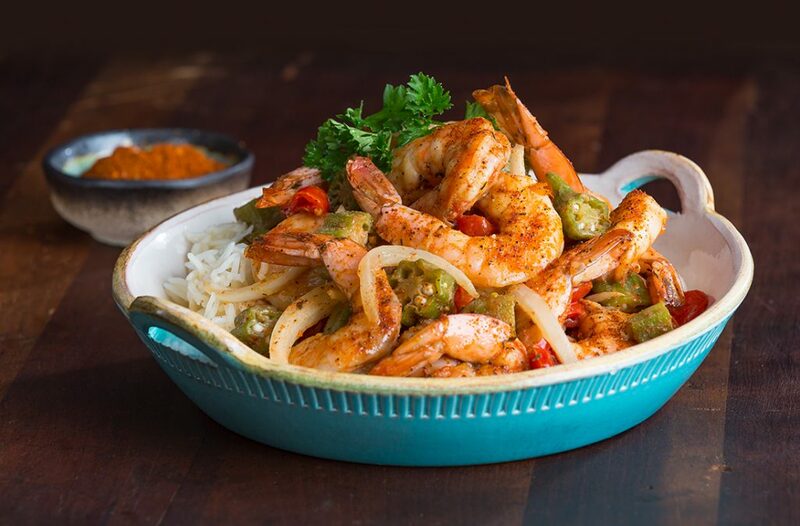 In a medium bowl, toss the shrimp with the remaining 1 tablespoon Fire Roastin’ Cajun Seasoning. Place 4 (12-inch square) sheets of heavy-duty aluminum foil on work surface. With serving spoon, evenly divide vegetables and then shrimp onto center of each foil sheet; top each with 1 tablespoon butter. For each packet, bring top and bottom sides of foil together over shrimp; crimp together and fold down over shrimp. Double fold both ends of packets toward shrimp. Turn off 1 of the burners on a 2-burner grill (turn off the 2 outside burners on a 3-burner grill). Place shrimp packets on the grill grate over unlit part of grill. Cook the shrimp packets, covered, 15 minutes or until an instant-read thermometer inserted into shrimp reaches 145°F. Serve over cooked white rice or dirty rice sprinkled with chopped fresh parsley. 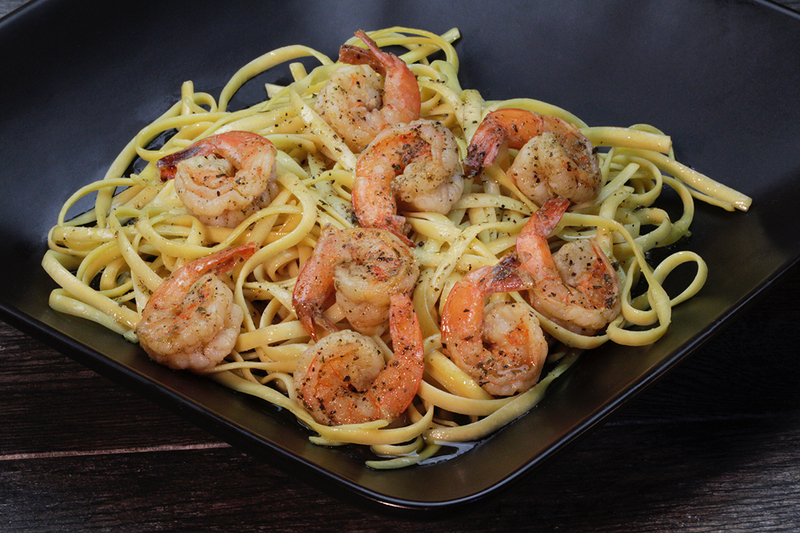 To cook the shrimp packets in the oven, place packets on a rimmed baking pan and bake at 400°F for 10 minutes.